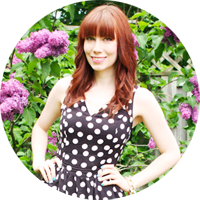 Miss Kait Online» Blog Archive » Have you heard of Heartsy? March 23rd, 2011 | Have you heard of Heartsy? I can’t believe I haven’t found out about this earlier! 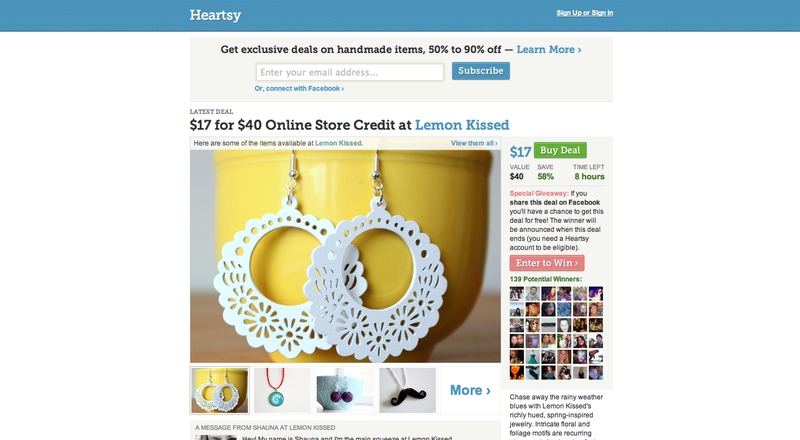 Today I found Heartsy, it’s like Groupon… but for handmade stuff! Every day there are new offers where you can save up to 50 – 90% on handmade goods from Etsy sellers. The featured daily deals also have contests where you can enter to win the coupon for free. You can browse by newest deals or extended deals. They also have a feature where the can users vote for which deal should be considered as the next featured one. If you’re an etsy seller, this is a great way to promote your store! It’s completely free so go sign up! Go go go!! This entry was posted on Wednesday, March 23rd, 2011 at 8:16 pm	and is filed under Neat Stuff, Shopping. You can follow any responses to this entry through the RSS 2.0 feed. You can skip to the end and leave a response. Pinging is currently not allowed.